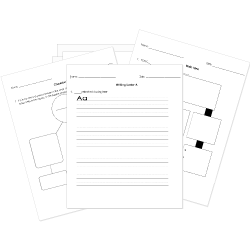 Check out our pre-made ELA worksheets! You are browsing Grade 4 questions. View questions in All Grades. You can create printable tests and worksheets from these Grade 4 ABC Order questions! Select one or more questions using the checkboxes above each question. Then click the add selected questions to a test button before moving to another page. Choose the word that comes first in alphabetical order. Which word comes first in alphabetical order? Put these words in alphabetical order. Which words would come between the words mover and muffin? Number these words in alphabetical order. Which words would come between the words "mover" and "muffin"? Arrange these words alphabetically in the order of their second letter.